Shedding water may be one of your roof’s simplest jobs, but several systems must work together to keep water from damaging your home. In our last blog, we discussed how water falling off your roof can damage your foundation, sometimes leading to the complete ruin of your house. At Tim Leeper Roofing, we’ve seen homes that could have been saved by one of our best services: gutter installation and repair. 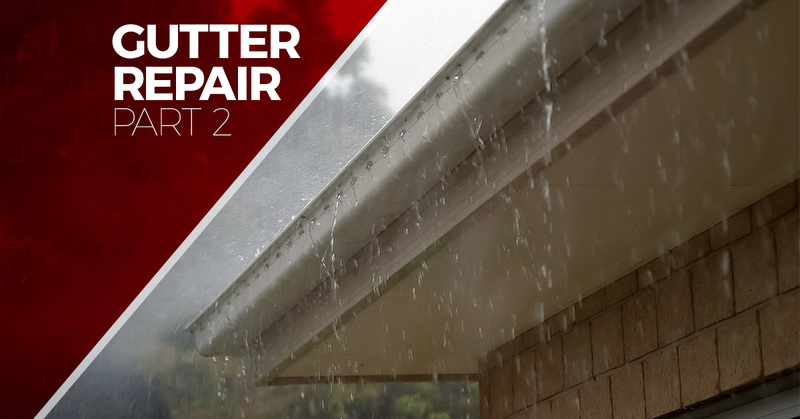 Gutters are your foundation’s primary defense against water damage. They collect water and carry it away from your house so that it can’t get into your foundation. They are tough and can last for many years, but it’s important to keep an eye on them. Why? Because when they start to have trouble, it can escalate quickly. We’ve already talked about how sagging, peeling, and orange flecks can indicate gutters in need of repair. Today, we want to give you a couple more signs that your gutters are telling you they need help. Gutters shouldn’t crack for a long time. When they do, it’s in your best interest to give us a call. The cracks may be small, but they will only get bigger. The bigger they get, the better the chance that water will leak into the wood behind the gutter, undermining the shingles above. Water may also start dripping out of the gutter and onto the foundation. All of these are serious problems, so don’t hesitate. Call Tim Leeper Roofing! Standing water near your foundation should never be a normal sight. Instead, it should alarm you. The same goes for mildew around or on the foundation. These are all indications that water isn’t being taken away from your home and is threatening your foundation as a result. If you see any or all of these warnings, it’s time to inspect your gutter system. We would be happy to do it for you, ensuring your gutters get professional treatment. This sign is best seen on a bright, sunny day, because the light will help dispel the shadows beneath the gutters. Look at the material under the gutters and search for warping, bubbling, or peeling. If you see any, it means your gutters are probably overflowing or leaking. The renegade water is on its way to hurt your fascia and soffit, which will cost money to replace. Rather than go through all that, simply call Tim Leeper Roofing. If you live in Nashville, you are lucky to have an incredible roofing company who will always put your interests first. We are here to offer roof care that you can’t find from anyone else, and our dedication to excellence shines in every project and interaction. We are proud to offer gutter installation and repair, as well as repair and replacement services for both commercial and residential roofs. Learn more about our passion for roofing and contact us for incredible service today!